Hey guys! I’m so excited to finally be able to release the much requested Daily Learning Notebook in French! Thanks to a lovely reader who translated this for me, we were able to get this out to all of you! I think this will be a great addition to your homeschooling for both French speaking students as well as those learning French! 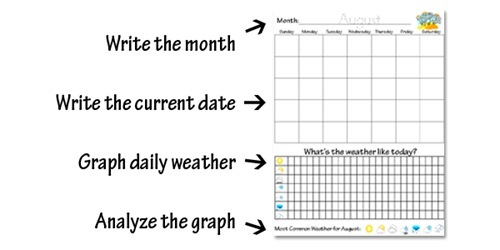 The Daily Learning Notebook is a fun way to review basic math & calendar skills each day! NOTE:The photos below show pages in English, however your pages will be in French. What will it be tomorrow be? Is today’s number ODD or EVEN? What time was it 1 hour ago? What time will it be in 2 hours? 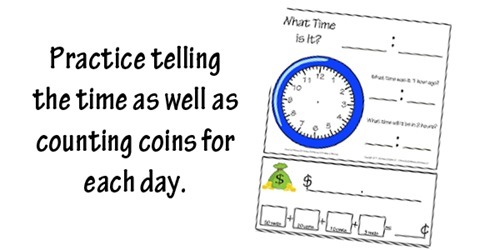 Make the date in coins. 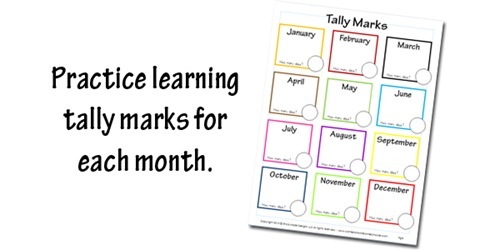 Tally Marks: We also keep track of our days in school using tally marks, at the end of the month we’ll count up all of our school days then write the number in the circle at the bottom of that month’s box. 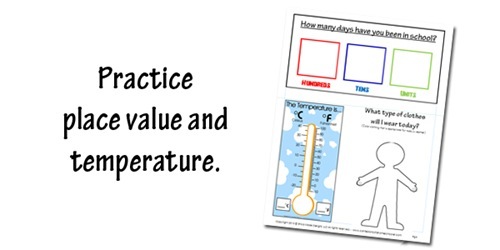 Place Value & Temperature: Practice place value using today’s date, as well as telling the temperature. 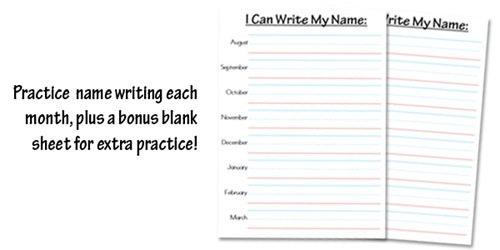 Name Writing Practice: This download includes blank writing lines so that your students can practice writing their names. 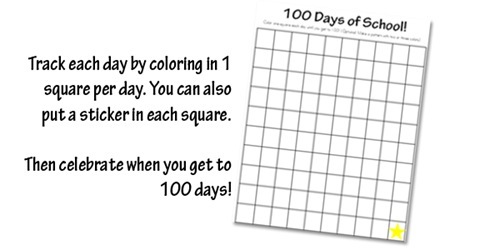 There is only one per month, but if you want them to have more practice you can print extra pages. – on page 7, it\’s Combien y a-t-il, with a space between y and a. Got if fixed, thanks for your help!! This is a very nice resource. I saw a mistake in the spelling of hier ( yesterday). It says heir on your paper. Always fun to read your blog! Thanks for letting me know, I just uploaded the fixed one! THANK YOU! THANK YOU! THANK YOU! This is wonderful!! I took french all through school and some of the phrases aren’t the way I learned them or would use them, but they would be correct translations. I’m French and I’ve just send you a mail with suggestions/corrections. Hope it can help you ! I saw some mistakes but they already been noticed. Merci beaucoup! 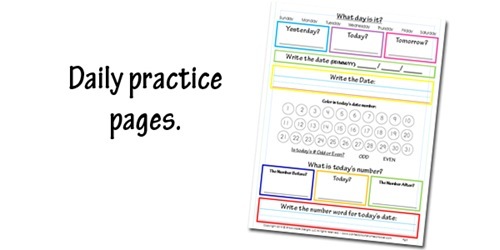 My kids and I have been learning French, so this will be great for daily practice!